In incredible news, which sounds like it could be an April Fool’s Joke, it has been reported that Woody Harrelson is playing Carnage in the upcoming Venom movie. At least that’s according to Bleeding Cool, who were told ‘in a very confirm-y way’ that Carnage is definitely appearing in the upcoming Venom film, and he will be played by Woody Harrelson. Carnage is the alter ego of Cletus Kasady, a particularly nasty bloke who has killed a bunch of people. In the comics, he gets his hands on some of the Venom symbiote, which heightens his sadistic streak and turns him into an even more nasty bloke. Obviously, everybody’s first reactions to the news were ‘April Fool’s!’ but Rich Johnson, founder of Bleeding Cool has insisted since the article’s publication that the page does not partake in April Fool’s. There have been a bunch of rumours about Carnage making his way into the film for some time, especially since the announcement of the casting of Riz Ahmed. However, Ahmed was spotted on set as Dr Carlton Drake, who is Life Foundation employee who helped develop the ‘seeds’ of the Venom symbiote. So who then? Well, it was reported that Harrelson was appearing in the upcoming Venom movie, but his official part hasn’t been released yet, and some have even said his character is a ‘henchman of sorts’. That doesn’t really sound like a role Harrelson would be chomping at the bit to get, does it? Well, according to That Hashtag Show, Carnage is only going to appear at the very end of the film, possibly in a post-credits sting, in which Eddie Brock will meet Kasady. It makes sense that Carnage is going to turn up at some point in the franchise, considering Sony are heading down the route of turning Eddie Brock into an anti-hero. In order to sell that they’re going to have to give audiences someone more evil than Venom to root against. But first things first, fans haven’t even got the chance to see the iconic symbiote in it’s full form yet, but an image has just leaked which reveals a sneak peak at what to expect. It looks… kind of exactly like you would expect Venom to look to be honest, but that toothy grin is still an exciting visual to see for the first time. This film doesn’t take place within the Marvel Cinematic Universe, but it does have some great talent attached in the form of Tom Hardy and Michelle Williams. It will be the first in a series of Sony-produced Spider-Man related flicks, but until recently we haven’t seen just what the big bad will look like. 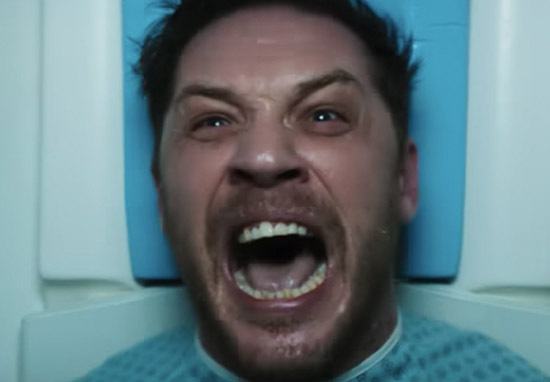 Now, Screen Rant have noted that Frandsen lists ‘Unannounced Title (2018)’ on his website as a major project he worked on during 2017, which is very likely to be the Venom film set to drop this year. 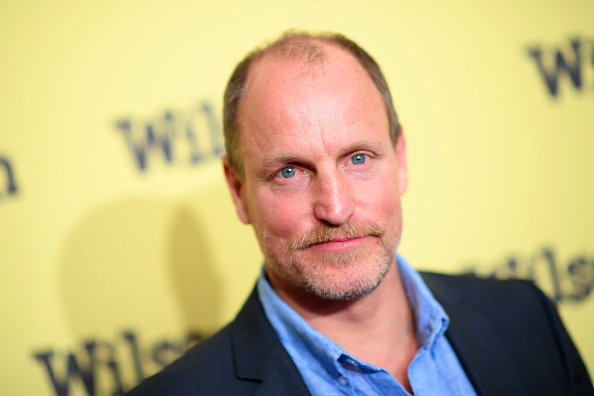 Right now, there is so much mystery surrounding this much-awaited film, but it looks like one thing we do know – Woody Harrelson is playing Carnage.